Provide a concrete visual illustration of the Earth’s magnetic field, while demonstrating the “Thumb Rule” with this compass. 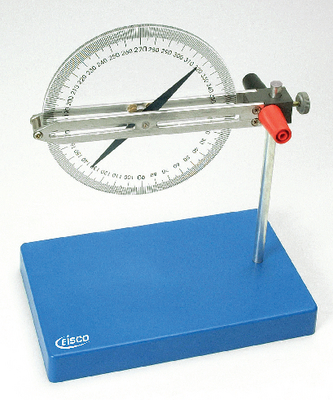 The Magnetic Field Inclination/Declination Demonstration Compass features a dip needle that indicates the inclination and declination of the magnetic field. This magnetic dip needle features an aluminum mounting that reduces friction for free rotation.